A one of a kind cake designed for a true Rod Stewart fan. 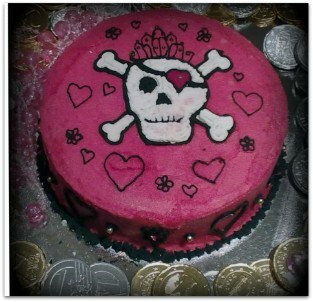 Princess pirate cake, the remit was a girly pirate cake to serve 30+. The coins on the board are all chocolate pirate booty. 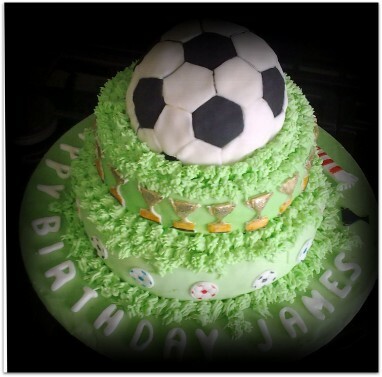 A three tier football cake, each tier is individually boarded so could be removed for easy cutting. 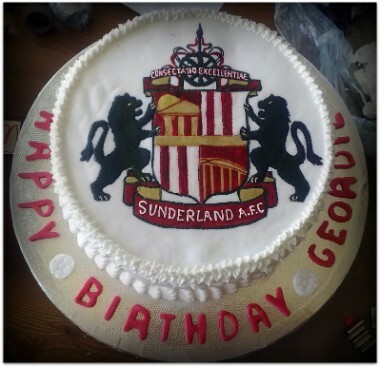 Made for a football mad teenager who was having a very large birthday party. 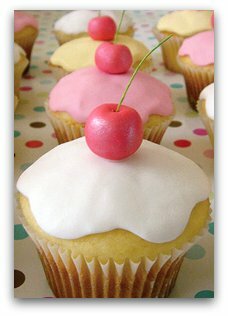 consists of a 10 inch , a 7 inch and a ball shaped songe all covered in fondant. 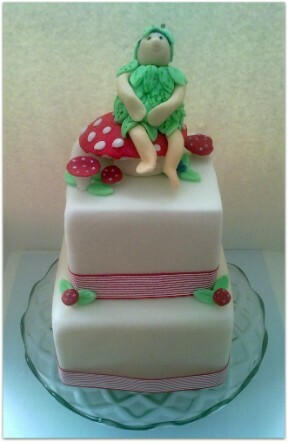 This was made for a two yr old girl, her Mum said she loved teddy bears and balloons. A 7inch lemon sponge with fondant icing and royal highlights. Everything on this cake was edible, even the gloves. 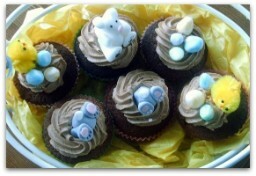 Made in aid of the charity, Action for Children. 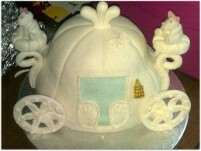 From halloween to princesses, the doll cake is always a hit with girls of all ages. Sponge body, with pastiche wheels etc. 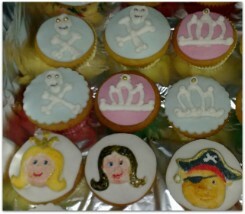 Decorated with plenty of sparkly glitter.Shown with some of the cupcakes with princess , pirate, and tiara's made to give out to the partygoers. A grand cake for a serious foot ball fan. 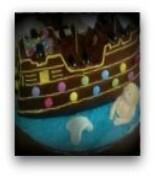 This 10 inch sponge, has a hand made pastiche plaque, that could be removed prior to cutting. 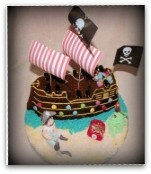 The plaque was hand drawn and hand painted using food colourings , then embelished with royal icing. A small gap was left at the top left corner for the numerical candles. The recipient was extremely please with his birthday cake and I quote "not only did it look fantastic but tasted great too"
Vanilla sponge cake covered in butter icing, specially created for a great kids birthday. His present was the bike, so the bike, his outfit, including the pants showing were all modeled on him. 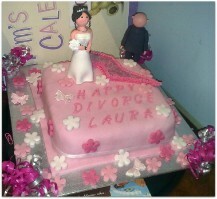 My first ever divorce cake, i was asked to make a pink girly cake as the "bride" was celebrating a big birthday as well as her divorce. 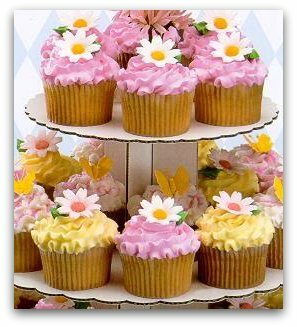 The cake was covered in girly pink fondant with a pastiche lightning bolt, and fondant flowers. The bride and groom are filmo figures supplied by the customer. A 10inch sponge cake, covered in rich butter cream frosting with piped silver glitter stars. Buzz Lightyear was hand drawn and painted using cake colours. Every little boys favourite birthday cake. 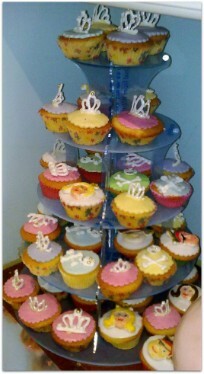 Corporate cakes availble on request. Specsavers were extremely pleased with this one to celebrate their first birthday in 2009. Him and his teenage friends loved it. Simple and elegant white rose cake. 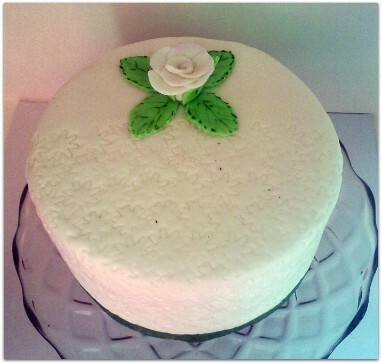 Madera sponge with butter cream icing, covered with embossed icing and topped with a hand crafted rose. 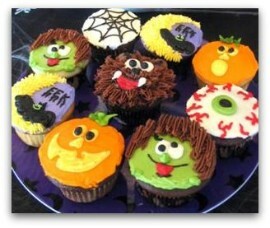 Prices from 75p per cake.